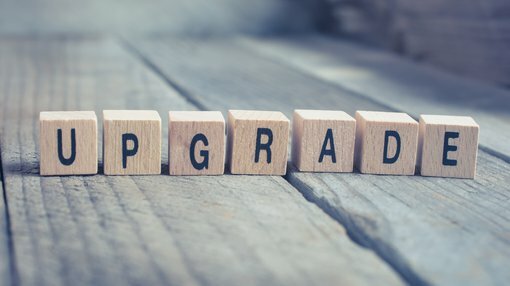 Protean Energy (ASX:POW) this morning revealed a significant upgrade to the vanadium/uranium mineral Resource estimate (MRE) for its Daejon vanadium/uranium project in Korea. This follows on from POW’s successful completion of Phase 1 of the comprehensive portable-XRF calibration and assaying program being conducted at the Daejon deposit. An interim vanadium/uranium mineral Resource has been estimated across 40 per cent of the known Daejon strike length, representing a significant increase to the existing JORC 2004 vanadium Resource. POW has a combined JORC (2012)-complaint MRE of 37.1 Mt at 3,000ppm vanadium (2,000ppm cut-off) and 120ppm uranium defined for a total of 248 Mlbs vanadium and 10 Mlbs uranium. 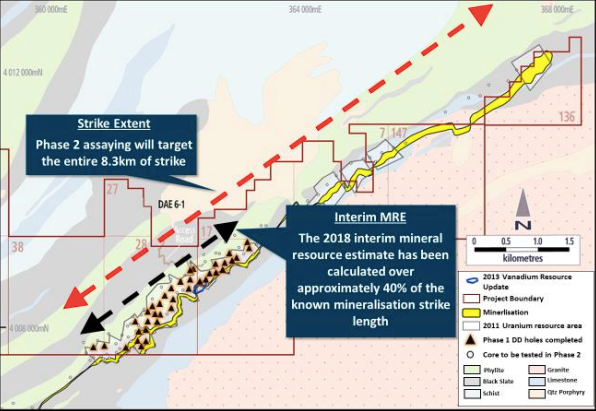 Phase 2 assaying is targeting the remaining 60 per cent of the deposit strike length and is expected to be completed imminently, resulting in a further Resource update. Intriguingly, the Daejon shale hosted deposit is similar in nature to the neighbouring Chinese “stone coal” deposits, which display grades ranging from 0.13 per cent to 1 per cent vanadium. Stone coal vanadium deposits represented approximately 47 per cent of the world’s vanadium production in 2017, and are the world’s primary source for the high purity vanadium electrolyte used in electricity storage applications. Encouragingly, Chinese stone coal deposits are amenable to beneficiation processes, including selective flotation and magnetic separation methods, which are being successfully used to achieve an average 300 per cent upgrade. POW is targeting the South Korean domestic vanadium market, which totals 17 million pounds per year via offtake supply agreements through a strategic Korean partner. Next steps include selective flotation and magnetic separation testwork, aiming to beneficiate the vanadium grade by a minimum per cent. Moving forward, POW will complete of Phase 2 assaying, targeting the remaining 60 per cent of the known mineralisation strike. From there, the company is looking at an updated MRE over the entire Chubu shale horizon captured within its tenements.